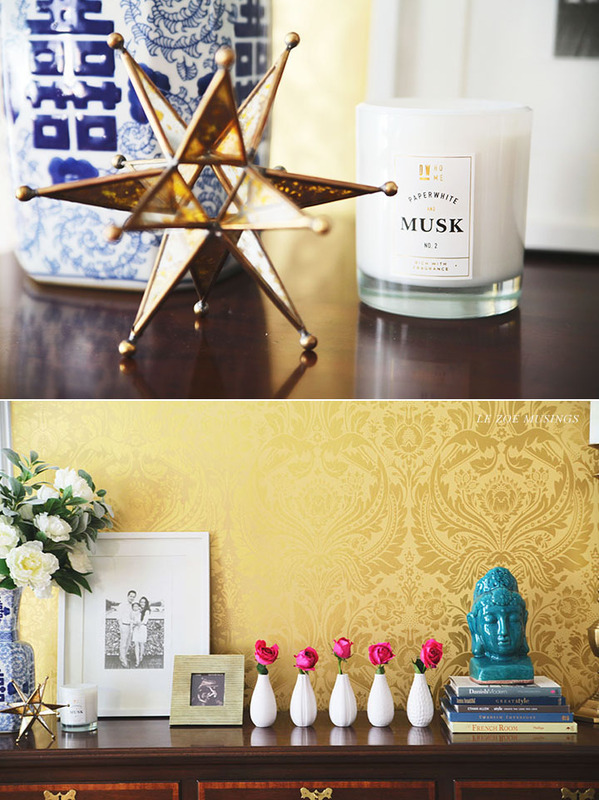 If you want to add a touch of glitz and glam to your space but not sure how- think about incorporating wallpaper. There are so many designs, colors, and textures to choose from. The possibilities are endless. 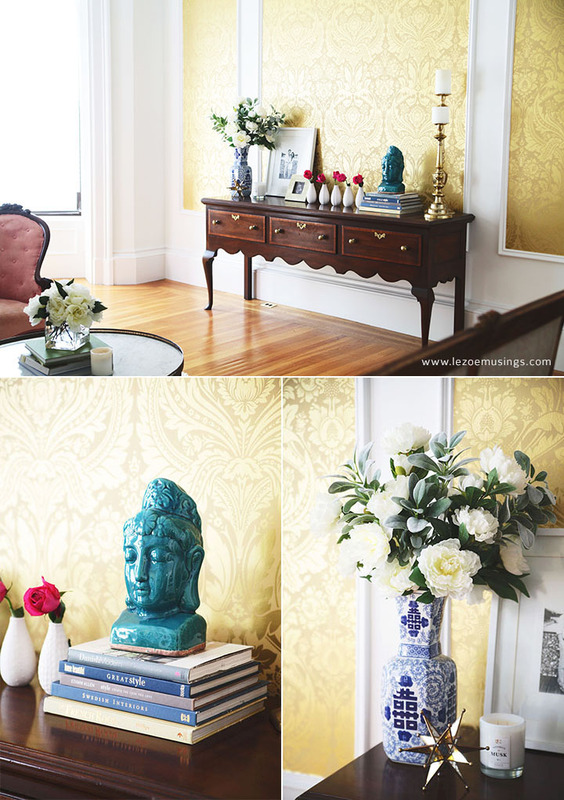 To achieve that glamorous feel- combine metallic tones with bold damask patterns. This was what we did in our living room. 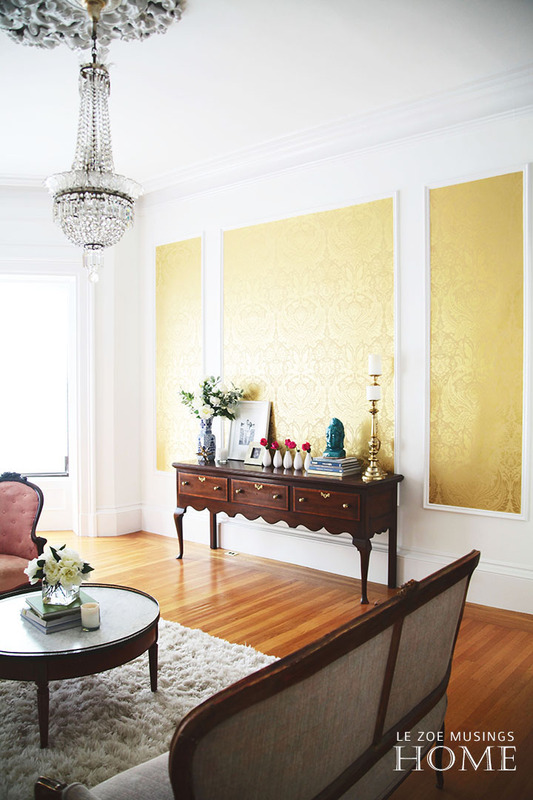 This wallpaper, Desire Gold Damask c/o Graham and Brown worked out perfectly. It’s elegant without being too stuffy. We have several huge white panels in our living room and applying wallpaper to these panels gives the look of framed art. To finish off the wall, we added an extra long console table. This furniture piece is great because of the storage compartments. I hide some of the kids’ toys, books, and crayons in there so that they are not left out messy. Yes, it’s safe to say that the console is secretly a fancy toy box. Shhh! To discover more wallpaper options, please visit Graham and Brown’s site HERE. Your style is so elegant. Beautiful! I really love the wallpaper!